Before she became the Dame of haute-couture, Coco Chanel, was Gabrielle Chanel, a young seamstress who had learn the trade during her time at an orphanage in Aubazine, France. 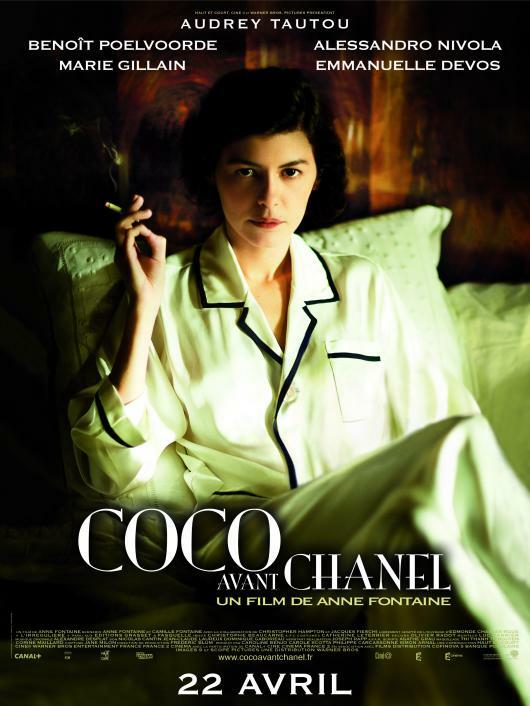 In “Coco Avant Chanel” which opened in France on April 22, director Anne Fontaine focuses on the early life of the fashion Icon, her rise to fame. i wanted to post this, but you beat me to it! Here is a great website with behind the scenes look of making the commercial and most importantly of how the perfume is/was made..
Fine site. Thank you, great share. Nice info. Nice piece of info, finally a decent website with good information in it. Can you email me with any pointers on how you made your blog site look this awesome, I’d be thankful. Thanks for some great thoughts there. I am kind of new to online , so I printed this off to put in my file, any better way to go about keeping track of it then printing? Wow, an awesome article man. Good share. But I’m having trouble with your rss feed. Don’t know why Fail to subscribe to it. Does anyone having same rss feed trouble? Anyone who can help kindly respond. Thanks! This site has got a lot of really helpful info on it. Thanks for informing me. I adore that blog layout ! How do you make it? It’s really cool. Hey! It is like you read my mind! You seem to know so much about this, just like you wrote the book in it or something. I think that you could do with some pics to drive the message home a bit, besides that, this is good blog post. A outstanding read. I’ll definitely be back. It is unusual for me to discover something on the net that’s as entertaining and intriguing as what you have got here. Your page is lovely, your graphics are great, and what’s more, you use reference that are relevant to what you are saying. You are certainly one in a million, man! If you want to know what I’m talking about, keep reading this essay. You completed several fine points there. I did a search on the topic and found a good number of people will have the same opinion with your blog. I would like to thanks for the time you have made in composing this article. I am hoping the same top-grade post from you in the future as well. In fact your creative writing skill has inspired me to begin my own blog now. Truly the blogging is spreading its wings rapidly. Your write up is a good model of it. 2. Excellent information over again. Thumbs up. You completed various nice points there. I did a search on the subject and found nearly all people will consent with your blog. Surprisingly! It is like you read my mind! You seem to know a lot about this, just like you wrote the book in it or something. I think that you could do with some pictures to drive the content home a bit, but other than that, this is informative blog. A wonderful read. I’ll definitely be back. I would like to thnkx for the time you have made in writing this blog post. I am hoping the same top-grade post from you in the future as well. In fact your creative writing abilities has inspired me to get my own blog now. Really the blogging is spreading its wings rapidly. Your write up is a fine model of it. This is an fascinating article, I agree with most of the points. thanks for this posting ! would like to thank you for your efforts you’ve created in crafting this blog.